Another season come and gone, but with a relatively uplifting send-off compared to the normal Supernatural fare. And although I saw one of the twists coming, I am very much in support of where it might take us in the new season. The world and the Winchesters will live to fight another day. 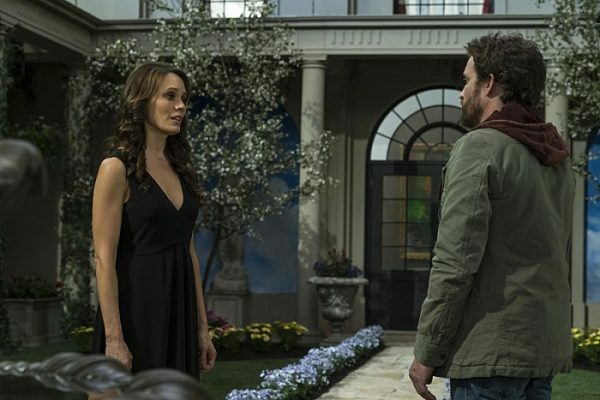 As always, I love our tradition of the season recap with “Carry On Wayward Son.” You forget how far we’ve come until you go back and see where Amara started — from baby to child to vengeful adult, always looking for love in the midst of her destruction. Amara wants revenge, God wants to keep his sister alive but understands the need to kill her, and once again we’re left with the theme of family. It is the strongest bond and the greatest weakness. The whole Toni situation woven in makes sense for a connection to the next season. I like that there’s this whole network of Men of Letters that the Winchesters didn’t know about. Plus, like many in the hunting community, they have a grudge against the brothers. 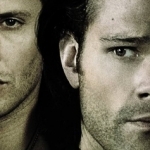 Looking at this from an outside perspective, you can’t really blame the hunters nor the Men of Letters for the way they might view the Winchesters. 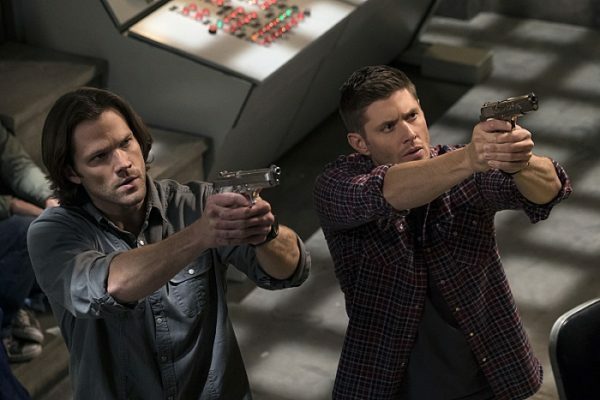 Dean and Sam have caused the end of the world multiple times, even if they were tasked to clean up their mess and set things right at the expense of their own lives. And now, another group has come seeking retribution for their actions. As far as fades to black go, I’m not sure the act of shooting Sam was very much of a cliffhanger? I mean, there’s always the possibility that she really did kill him, but I don’t think she would since it felt like her bosses wanted her to retrieve the Winchesters to pay for their actions versus just killing them off. I think he’s going to be missing once Dean makes it back to the bunker and the elder Winchester will have to find him. 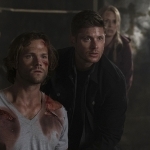 The alternative is that Billie really did follow through on reaping one of the boys, but that focuses the storyline on Dean versus death rather than Dean learning about the extended Men of Letters network. I’m interested to see how that all plays out. The resolution of the Chuck and Amara storyline was very satisfying to me. They don’t have to die, they can just take a break and have some family bonding time. The world will carry on spinning and there’s always the possibility that Chuck will return. The scales continue to be balanced. However, as soon as she told Dean she wanted to give him that gift I knew what it would turn out to be. There were hints prior, with the visit to Mary’s grave, but Amara’s words are what sealed the deal. Dean needs Sam, just as Sam needs Dean, but a gift would be a return of his mother. He will forever be a four-year-old boy who lost his mother’s love too early, forced to become an adult too soon. But what will Mary’s return mean? Does she remember who she is? Does she recognize Dean? And how will Dean deal with having his mother back? So much potential! A very satisfying end to another season of Supernatural. Let us ponder all these storylines over the summer hiatus and gear up for another exciting adventure with the Winchesters. Carry on, my wayward son!